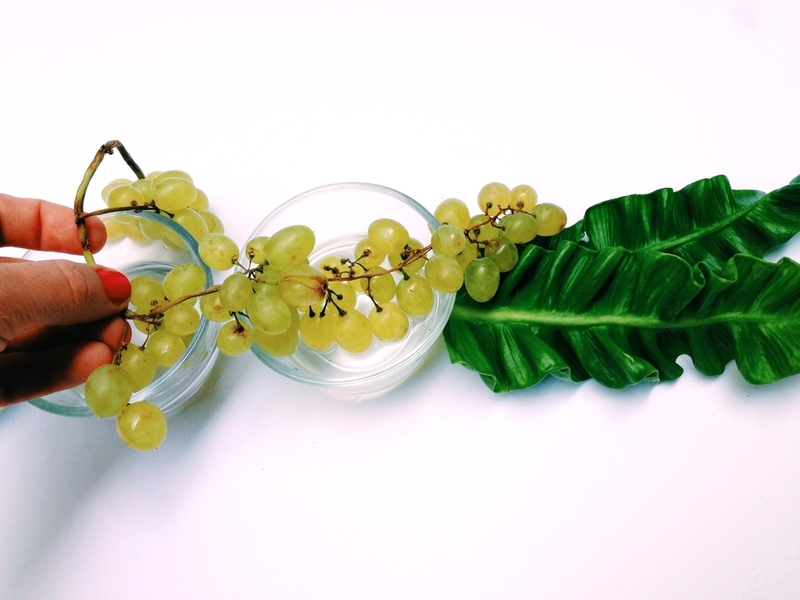 In this post, I used champagne grapes and small half cup size glass dishes. I suggest using small shorter bowls or cups so the flowers in the centerpiece don't get too high, making it difficult to see over them. 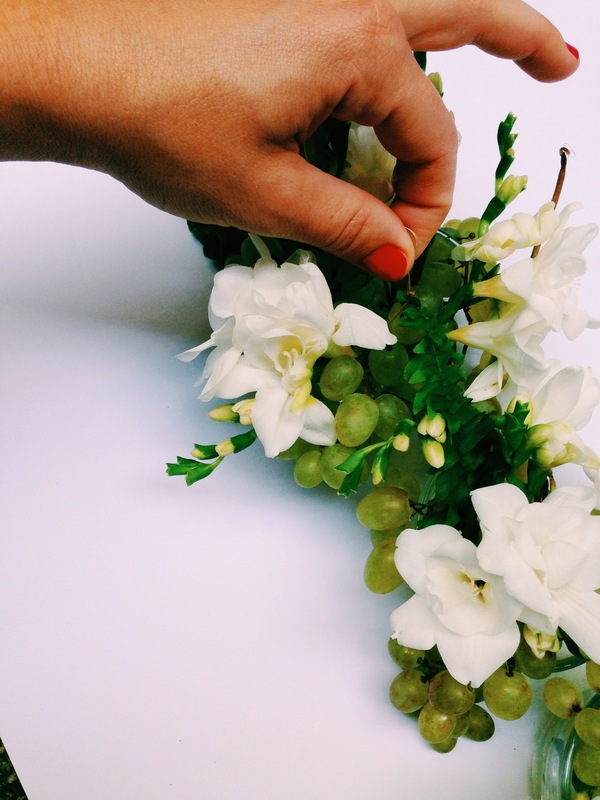 This is a very simple arrangement using grapes to hold the flowers in place. I used champagne grapes and a drinking glass. If you are going to use this arrangement on a table, I suggest using a small glass so the flowers don't get too high, making it difficult to see over them. 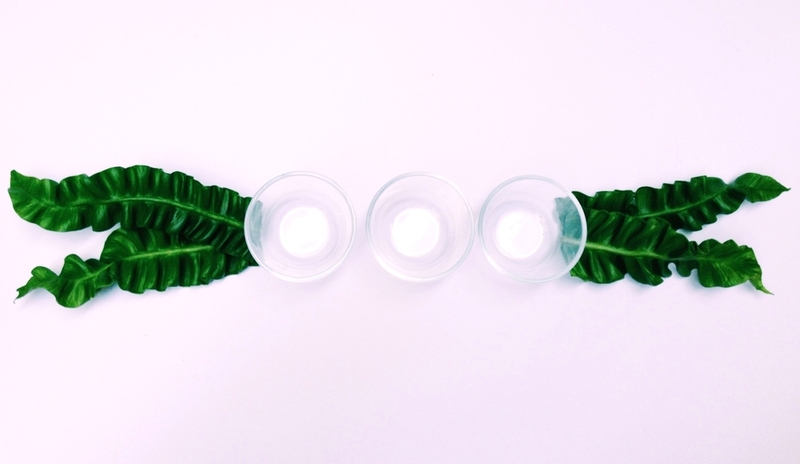 Lay the first bunch of grapes across the length of the glass. It is easier to balance if you use a a section of the bunch that has grapes on both sides as shown above in the picture. Add another bunch of grapes, crossing in the opposite direction. Continue laying the grapes in opposite directions until the majority of the top of the glass is covered. Add your flowers to the arrangement and start with the biggest blooms first so you can place them accordingly. Finish by adding the smaller flowers and the the greens leaves to balance out the arrangement.